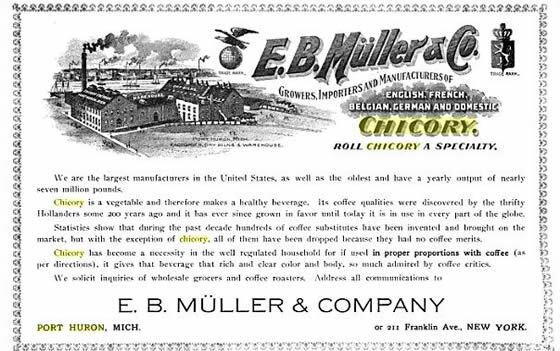 1944- Port Huron, Michigan became known as the "Chicory Capital of the United States", as the E. B. Muller & Co. would make a coffee without caffeine. I remember my dad telling me that my grandmother would collect chicory, a vegetable type weed and cut their coffee with chicory. It added a bitter taste to an already bitter product, caffeine.